Sciblogs | Professors, lost souls with great oratory power? It’s been raining for five days now and it almost seems as if it will go on forever. The news is full of floods and slips in my area. 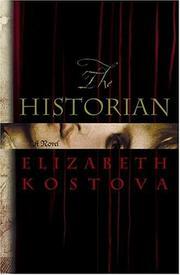 Last night I started Kostova’s The Historian. … This semester he was giving a course on the ancient Mediterranean, and I had caught the end of several lectures, each brilliant and dramatic, each imbued with his gift for great oratory. Now I crept to a seat at the back in time to hear him concluding a discussion of Sir Arthur Evan’s restoration of the Minoan palace in Crete. The hall was dim, a vast Gothic auditorium that held five hundred undergraduates. The hush, too, would have suited a cathedral. Not a soul stirred; all eyes were fixed on the trim figure at the front. Rossi was alone on a lit stage. Sometimes he wandered back and forth, exploring ideas aloud as if ruminating to himself in the privacy of his study. Sometimes he stopped suddenly, fixing his students with an intense stare, an eloquence gesture, an astonishing declaration. He ignored the podium, scorned microphones, and never used notes, although occasionally he showed slides, rapping the huge screen with a pole to make his point. Sometimes he got so excited that he raised both arms and ran partway across the stage. There was a legend that he’d once fallen off the front in his rapture over the flowering of Greek democracy and had scrambled up again without missing a beat of his lecture. I’d never dared to ask him if this were true. The character is a historian, not a scientist, and from another age – it’s not stated (yet), as far as I recall, but somewhere in the 1930s perhaps – and this is fiction. Several movies and books seem to use this motif, the lost obsessive soul with powerful oratory presence. It makes me wonder what is the image of a professor to those who have never been near universities, who’ve never met a professor. Is this depiction friend or foe? Or just accepted as fiction? 🙂 I know some professors who are absolutely superb orators. Mind you, I’ve heard it argued that this doesn’t necessarily make them good teachers. There was a piece of research done (can’t remember where/by whom, maybe someone can help me out here?) where they put an actor in front of a group of professionals. Apparently he looked the stereotypical part 🙂 He was coached around how to say stuff& given a script that in reality said absolutely nothing. But his delivery was superb & when the audience was polled afterwards they all agreed on how right he’d been in what he was saying. The ‘lesson’ being that if you are a charismatic speaker you can leave the audience believing that you are also a wonderful teacher & communicator, even if you haven’t communicated anything of merit. I completed my undergraduate degree at a well known university in the UK in the late eighties. There we had a number of professors who were brilliant orators. I loved my Animal Kingdom lectures that were accompanied by excellent chalk drawings (chalk board is incredibly dated now, as it was then…). Of course, this is all somewhat subjective – I believe other students found these lectures quite boring. Another excellent prof lectured in comparative biology – first example was a comparison of mammalian testicle size versus body size with conclusions about mating systems. This did involve wandering and even running up and down the stage and occasionally performing a kind of mini hand stand using the table as a prop. Several profs cultivated an “eccentric” image. One wore pink shirts with a bow tie, another ridiculously bright knitted jumpers with daft motifs, yet another would front up in colonial tropical garb, several were seen with the traditional tweed jacket with leather elbow patches. Are these people characters that have been turned into fiction, or did they attempt to live up to an age old image of professors in fictional literature. Chicken or egg ? However, sadly and perhaps predictably, there were many profs who were absolutely terrible at lecturing. A biophysics professor would stand there frozen, and lecture in a monotone with her eyes shut. A famous professor who later held the Chair for Public Communication of Science arrived with his most seminal book, opened page one and proceded to read a chapter each lecture (no visual aids) – and this DESPITE the fact that he was (and is) known to be an excellent speaker, has frequently appeared on the TV, did the Christmas lectures, etc. With hind sight it seems to me that a lot of learning was accomplished despite the quality of our lectures. I am not at all trying to be apologist for didactic failings at university level, but an (unintended ?) positive outcome is surely that students become more critical, more independent, and more self motivated as a result of the difference in teaching quality at university versus school. Thanks for your comments, I’ll try get back to you later tonight when I’ve time. Alison, I think I read a blog article about the research you’re thinking of. At PZâ€™s place, perhaps? Sorry I never got back to you. Better late than never? I hope readers don’t have the idea that I’m saying that no professors are good speakers. I was really thinking what people who don’t see the spectrum (from the good to the terrible) that we’ve seen think of professors if all they see is this sort of stereotype. Interestingly, the book later goes on to have an Oxford student complain about how boring his lecturers were 🙂 (Or something to that effect, I’m not going to look it up.) It does make clear that Prof. Rossi was considered exceptional over the course of the book. Had to laugh at your description of that zoology lecturer. I did my Ph.D. at one of “those” English universities, too, but being a Ph.D. student I didn’t attend regular lecture courses (with one exception). I think your chicken or the egg point is a good one. I suspect in the case of these older universities their “cultivating an image” thing has a long history (? ), which the BBC, British comedy,* etc., has exploited, rather than the other way around. It’s interesting to see you turn “poor” teaching into a positive of sorts 🙂 University students do have to learn that they are not there to be taught as such, but to learn from material (including lectures). I suppose it does paradoxically encourage stronger self-learning and independence, at least if you want to pass! Maybe wouldn’t be gotten away with to the same extent in universities where the student body as a whole is less able? I’d give an account of one famous person whose lecture really disappointed me (without naming names), but in another comment perhaps. * Makes me think of Footlights.